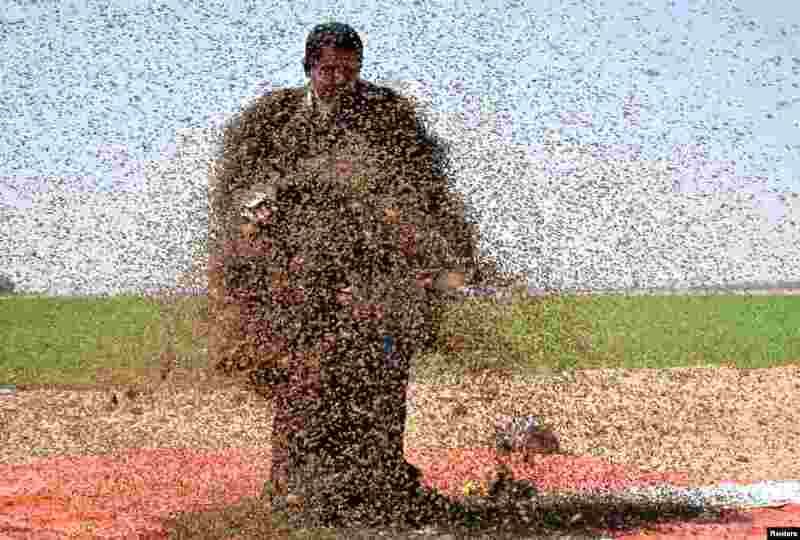 1 A man whose body is covered with bees poses for a picture in Tabuk, Saudi Arabia. 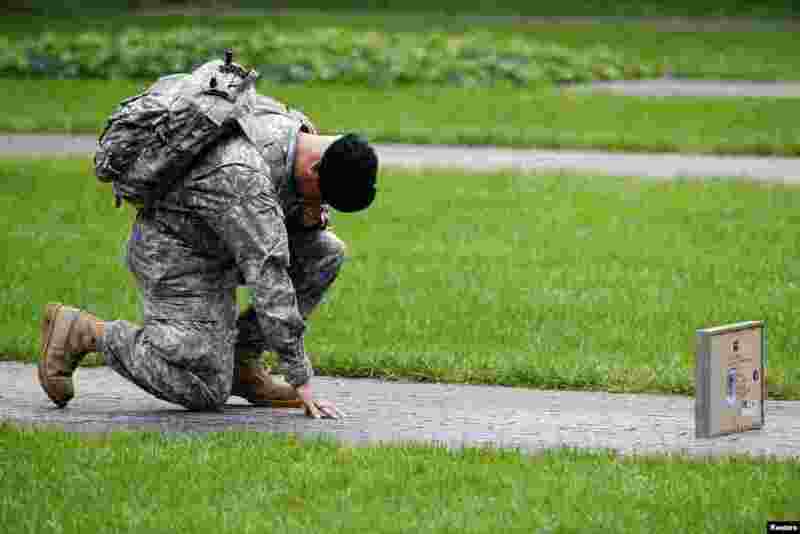 2 U.S. Army Reserve Sgt. Edwin Morales honors his cousin Ruben Correa during ceremonies marking the 17th anniversary of the September 11, 2001 attacks on the World Trade Center, at the National 9/11 Memorial and Museum in New York. 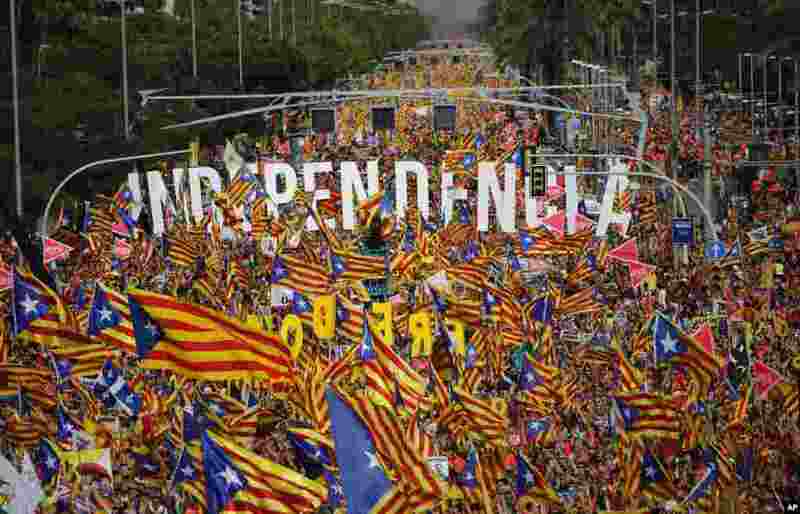 3 Pro-independence demonstrators fill up La Diagonal, one of Barcelona's main avenues, during the Catalan National Day in Barcelona, Spain. 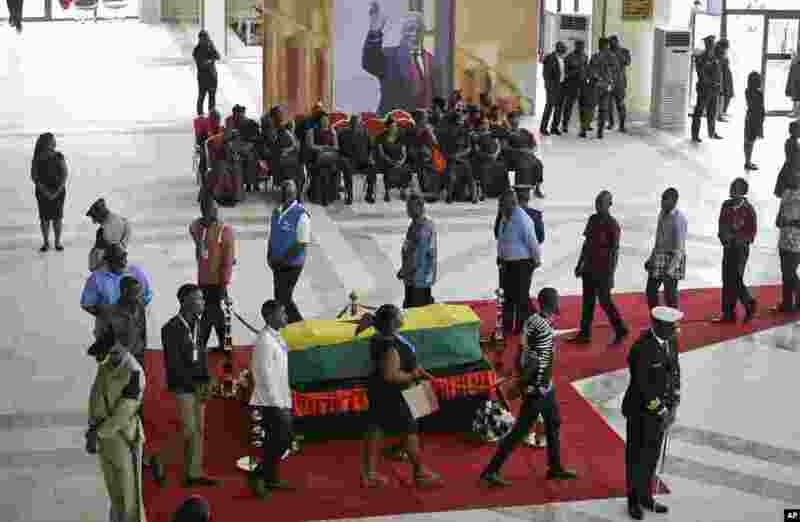 4 Members of the public pay their respects as the coffin of former U.N. Secretary-General Kofi Annan lies in state at the Accra International Conference Center in Ghana.